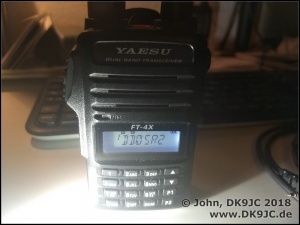 Some time ago I received a Yaesu FT-4XE. Programming, especially if you have to set a CTCSS, is a pain. I can tell you this is no joy. In the time that you spent in programming one chanel you can easily convert an old baofeng programming cable into one for the Yaesu FT-65, FT-25, FT-4XE or FT-4VR. I found a nice video on Youtube and needed only one minute to complete the project. 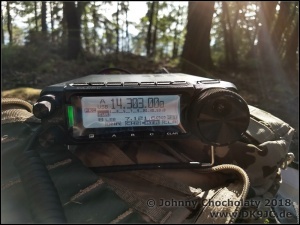 With this easy modification I was able to programm all my local repeaters into the radio. As of today (Feb 2019) chirp does not support those new Yaesu handhelds yet. But luckily Yaesu has a free programming tool on their website. You can modify all parameter such as QRG, CTCSS, DCS, Power Level, etc. I had no spare 2,5mm plug so I just removed the 3,5mm plug from the Baofeng original one. GND was already correct, TX and RX had to be changed over and one diode (0,6V drop on my one) had to be soldered in. Life can be simple - sometimes. Den Kesselberg hatte ich 2017 wohl vergessen. Das letzte Mal war ich 2016 vor Ort. Als ich kürzlich wieder in der Gegend war, habe ich den DM/RP-417 wieder aktiviert. 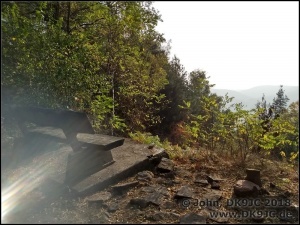 Vom Parkplatz Lolosruhe sind es 2,71km Fußweg und 150m Höhenmeter Anstieg. Erst geht es runter, dann wieder hoch. 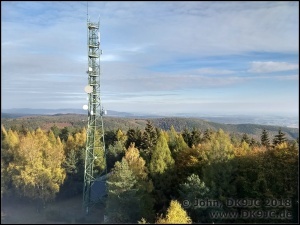 Das macht besonders viel Spaß, wenn man den FT-817 zu Hause lässt und den erst wenige Wochen alten FT-891 mitnimmt. 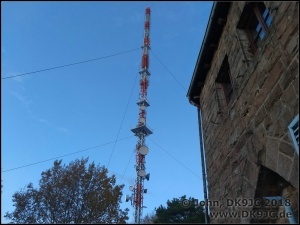 Nicht nur der TRX ist schwerer, auch die Kabel, die Akkus und sogar die Antenne wiegen mehr als bei der QRP-Version. Als ich oben ankam, habe ich natürlich genutzt, was ich hatte. 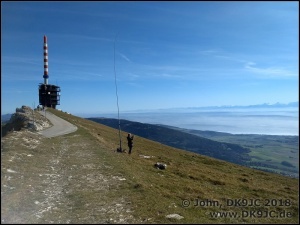 Ich stellte den FT-891 auf 50W und konnte so in etwas mehr als einer Stunde 43 QSOs loggen. 39 auf 40m und 4 auf 20m. Dann machte mein LiFePo4-Akku schlapp und ich musst abbauen. Die Bedingungen waren echt sehr gut an diesem Nachmittag.